Parents would not dream of raising illiterate children—why does it seem that to most parents, financial literacy is less important? Not to me. As a Certified Financial Planner professional and mother of three, I believe that teaching children how to manage money is one of the most important responsibilities parents have. Living in a consumer culture where delayed gratification seems like an outmoded concept, it’s not easy to keep kids financially grounded. However, by providing our children with firsthand experience in earning, saving, and spending their own money, they are more likely to develop a savvy sensibility and the framework necessary to manage their personal finances as adults. Additionally, individuals who are financially literate demonstrate a keen understanding of fundamental financial concepts, such as compound interest, the time value of money, use of consumer credit, diversification, tax-preferred savings vehicles, consumer rights, and more. 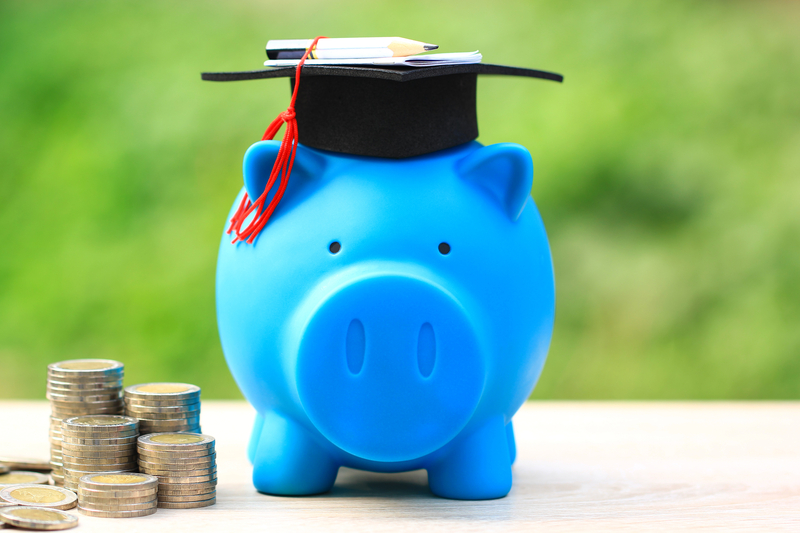 With student loan debt at crisis levels and many of today‘s college graduates burdened by both high student-loan payments and a challenging job market, I encourage parents to adopt a proactive approach to the problem by raising financially literate children. Since financial education is a natural contributor to economic success, I am passionate about helping my children understand the value of financial stewardship. I want them to be able to differentiate between needs and wants. I want to teach my children sound money-management skills that will serve them well throughout their lives. With the goal of financial literacy in mind, consider these three money-saving strategies to help teach your children how to best manage their money. They are simple and effective, even for children still in elementary school. 1. Create a financial mission statement for your family. Solicit input from your family about what each member thinks is important. Is it eating out, taking vacations, saving for college, or all of these goals? Have an open conversation with your spouse and children to encourage them to think about the meaning of money, the challenge of earning it, and the importance of saving for what they truly value. 2. Take opportunities in your daily activities to model how you make spending decisions. By discussing money-making decisions as you shop, cook, and pay bills, you provide concrete examples that your children can model. Plus, taking the kids to the grocery store and cooking dinner afterwards teaches them to apply their math skills in the real world. For example, having them bag groceries with you at the checkout shows them how much it really costs to fill up the fridge each week. My daughter Sarina, who just graduated from high school, has worked as a swim instructor, lifeguard, and math tutor. Earning money has given her an understanding of how much she needs to work to pay for the things she wants. Working at a summer camp this year, she realized that by not taking a full hour for lunch, she could lifeguard for an extra 30 minutes and earn an additional $10 a day! The extra income benefited Sarina and the camp director, who was able to accomplish other tasks while Sarina was lifeguarding. The value of money is not the only thing Sarina derived from her work experience. “Every teen needs to have work experience so that they know how to deal with people!” she says. 3. Allow children firsthand experience in earning, saving, and spending their own money. Allowances are great, as long as the kids actually do chores to earn the cash. Be sure to set up a savings account for them early, and consider allowing them to manage the records. Children can monitor their savings activity over the years. By the time they become teenagers, the benefit of saving regularly over time will be apparent, because they will have some money to spend on clothes, food, and friends—and still save for college. And by the time they head off to the university of their dreams, they will be more likely to have a savvy sensibility about managing their expenses. One of the hard parts of giving children some control over their own money is that they are sure to make some mistakes. It is important not to rescue them from every mistake! Children need the benefit of making their own decisions. By learning from their mistakes, they become adults who can manage their money well. Marguerita’s mantra is “So many people spend their health to gain wealth, and then have to spend their wealth to regain their health” (A.J. Reb Materi). Securities offered through Private Client Services, LLC. Member FINRA | SIPC. Advisory products and services offered through Blue Ocean Global Wealth, a registered investment advisor. Private Client Services, LLC and Blue Ocean Global Wealth are not affiliated entities. Blue Ocean Global Wealth intends that this article will be viewed for informational purposes only. The information in this material is not intended as tax or legal advice. It may not be used for the purpose of avoiding any federal tax penalties. Please consult legal or tax professionals for specific information regarding your individual situation. The opinions expressed and material provided are for general information, and should not be considered a solicitation for the purchase or sale of any security. In 2017, she was named the #3 Most Influential Financial Advisor in the Investopedia Top 100 and a Woman to Watch by InvestmentNews.